The USAID/Indonesia Expanding Maternal and Neonatal Survival (EMAS) Project, Cooperative Agreement Number AID-497-A-11-00014, is a five year, $55 million program to support the Government of Indonesia to reduce maternal and newborn mortality. EMAS works with Indonesian government agencies (national, provincial and local), Civil Society Organizations, public and private health facilities, health professional organizations, and the private sector. The project is expected to result in an overall 25% decline in national maternal and newborn mortality. More than 10,000 women and 80,000 newborns die in childbirth each year in Indonesia, mostly due to postpartum hemorrhage, eclampsia, infection, newborn asphyxia and low birth weight. The EMAS program will improve the quality of emergency obstetric and neonatal care services and increase the efficiency and effectiveness of referral systems between hospitals and community health centers. 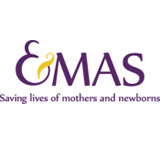 The EMAS program will be implemented in 150 hospitals and 300 community health centers in six provinces with the largest concentrations of maternal and newborn deaths. They will be selected for having the greatest number of women who die in childbirth and newborn deaths. Final selection of the provinces will be made in partnership with the Ministry of Health. In order to include those provinces with the greatest number of deaths, a province from Sumatera, all provinces in Java and a province from Suawesi – which together account for almost 70% of all maternal deaths and 75% of newborn deaths – primarily from preventable causes. To improve the quality of care of public and private health facilities for maternal and newborn health. To increase the efficiency and effectiveness of referral systems for maternal and newborn health. Cross-cutting themes include improved governance of the health sector, and increased effectiveness and efficiency of information and communication activities through the use of technology such as cell phones and social media. Dr. Pancho Kaslam, DRM, MSc.